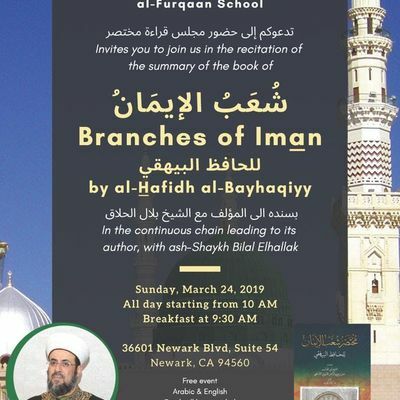 al-Furqaan School will be hosting a full day course covering the book of “Mukhtasar Shu^ab al-Iman” (Branches of Iman) by al-Hafidh al-Bayhaqiyy, may Allah accept his deeds, in the proper chain (isnad) leading to its author, with Dr. Shaykh Bilal Elhallak. 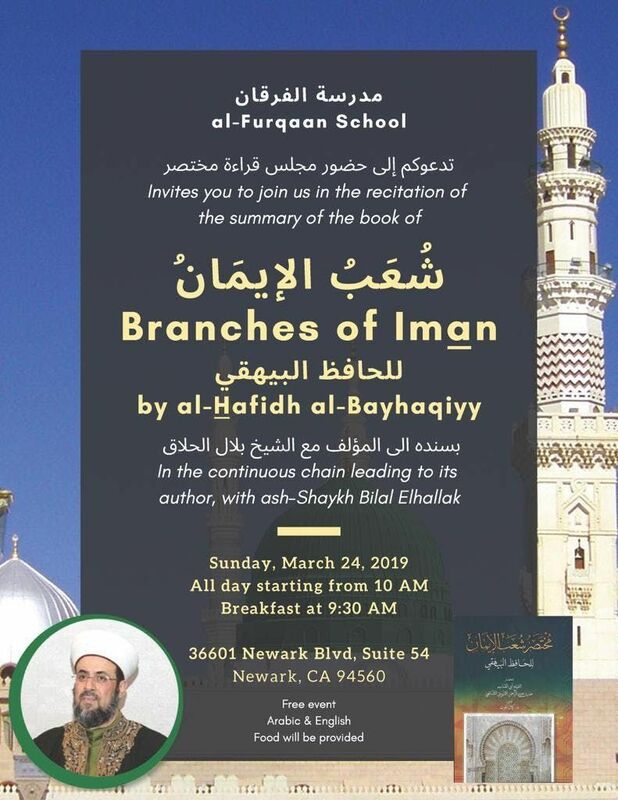 This book has 77 Hadiths about the branches of Iman including: Essentials of belief, Loving Allah, the Exalted, and fearing him, importance of seeking knowledge, preserving the tongue, resisting envy, repentance (tawbah), generosity, respecting the elders, and other important traits that define the believer. The course is free. Arabic and English. Food will be provided. The course will start at 10:00 AM and will continue until Maghreb.